"The days are long but the years are short" has got to be one of the truest parenting clichés ever spoken. But sometimes, those days -- especially for parents of young children -- are truly too long, and it can be all too easy to forget how fleeting the years are. The frequent night wakings are turning you into someone you don&apos;t entirely recognise. You&apos;ve stepped on one too many Legos. You&apos;ve exhausted yourself trying to convince an illogical toddler to do something life sustaining, like eating. You&apos;ve tried repeatedly and then failed to soothe a crying baby, a tantruming toddler or a neglected partner. You wallow in a resentful funk that you took your few moments of alone time to clean the dishes. Too often, all these things happen on the same day. Those long days of parenthood. It&apos;s at those times that I like to think of the short but precious years and of the fleeting moments that I&apos;d like to grab on to with both hands, freeze in time and stick in my pocket to pull out and savour forever. During the long days, I comfort myself thinking of those moments. 1. Soon enough, your child will tell you unsolicited how much they love you. They will do it in heart-breakingly earnest and grammatically adorable way. Something like, "You are my best mummy." 2. Soon enough, upon pick-up from school or day care your child will run to you as if you&apos;ve long been separated by some natural disaster. Their face will beam and they will be love --screaming "MUUUUMMMM!!!" That run will be the highlight of your day. 3. Soon enough, you&apos;ll wake refreshed after a long night of sleep and walk into your child&apos;s room to watch them sleep. 4. Soon enough, your child will defend you: "Don&apos;t yell at my mummy!" And you&apos;ll feel oddly protective and protected at the same time. 5. Soon enough, you will teach your child something -- how to draw a circle, how to catch a ball -- and they&apos;ll get it. And you&apos;ll be there to witness that magical, epiphinal moment where they are surprised and delighted by their own ability. 6. Soon enough, your child will say something piss-in-your-pants hilarious like, "Mommy, the baby and I were talking about it, and we think you are a really good driver." Your laughter will lift you up at least as much as a half a Zolaft and a bar of chocolate. 7. Soon enough, your child will finally do something you&apos;ve been nagging/teaching him to do for what seemed like ages. He&apos;ll say "thank you" without prompting. He&apos;ll notice his shoes are dirty and take them off. He&apos;ll (HOLY GRAIL) use the toilet. You&apos;ll instantly brim with a sense of parental competence. 8. Soon enough, you&apos;ll watch your child perform. Maybe it&apos;ll be a school play or sports event. They may fail and handle it well. They may succeed and swell with pride. They may overcome a bought of nerves. Whatever they do, you&apos;ll swallow a lump in your throat the size of a baseball for the bittersweet independence of your once baby. The years will feel too short. What are the parenting moments you cherish? This post originally appeared on The Huffington Post. 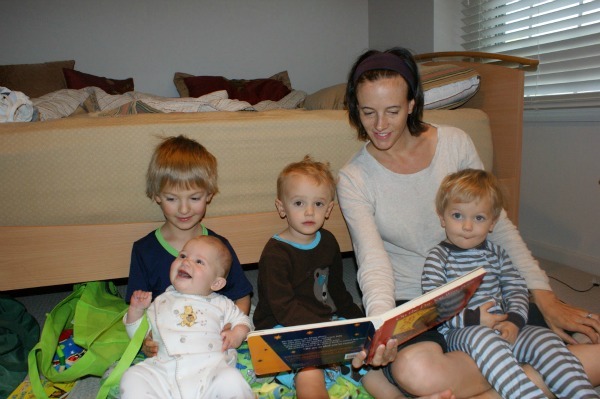 Kim Siegal lives in Western Kenya with her husband and two boys. 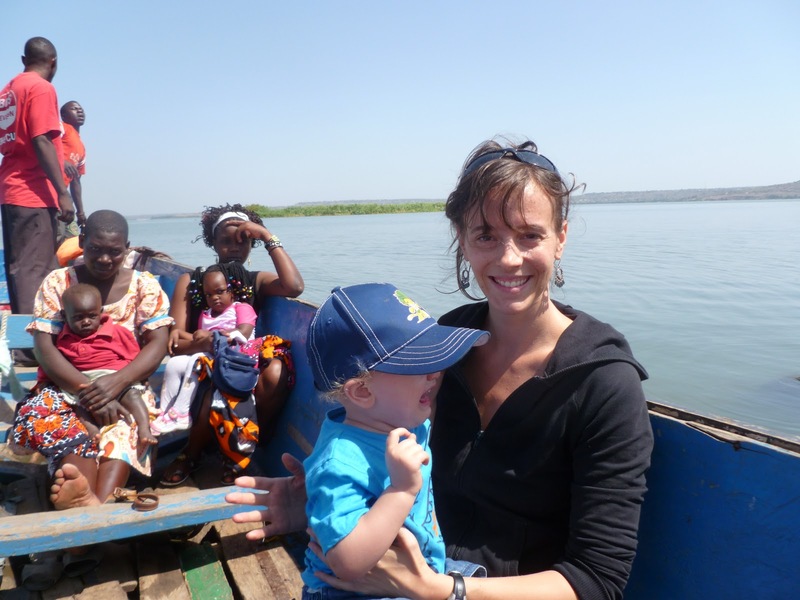 She is currently staying home with her new baby, but was formerly working for an NGO which conducts rigorous impact evaluations on anti-poverty programs. She blogs at www.mamamzungu.com.